In 1989, the Rotary Club of Santa Rosa created an independent IRS 501c3 foundation to help raise and distribute funds to address the needs of the local community. In October of this year the club foundation will celebrate its 29th anniversary with an established legacy of support for the clubs community service projects. 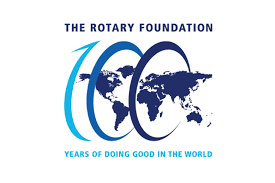 The September 6th program will highlight the past, present and future of the foundation and its steadfast support of the Rotary Club of Santa Rosa.